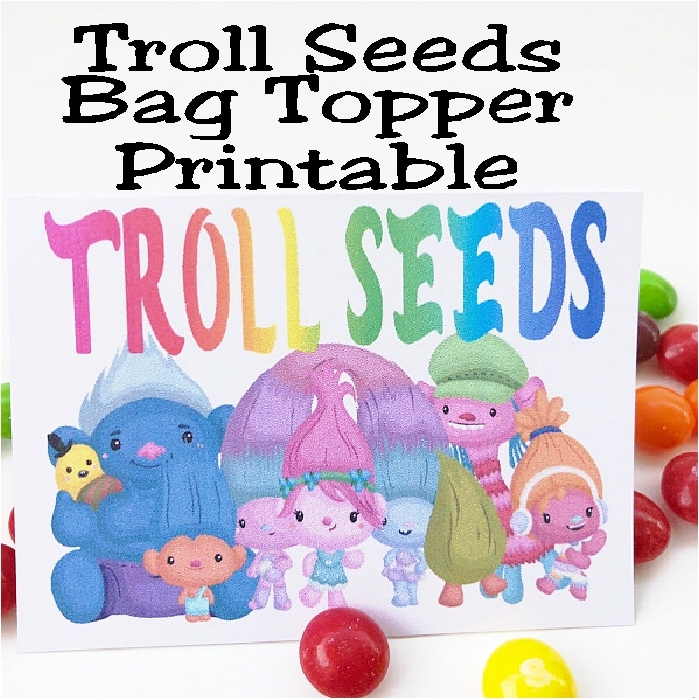 These Troll Seeds bag toppers are the perfect give for our Trolls birthday party! They are quick and easy to put together and so stinkin' cute. Print them out for free now and bring a smile with Princess Poppy and the Trolls squad. I'm still working on my Troll party details. After pinning a bunch of Troll projects to my Trolls Party Pinterest Board, I noticed I needed to add a few more bag toppers---they seem to be one of my favorite party favor ideas after all. 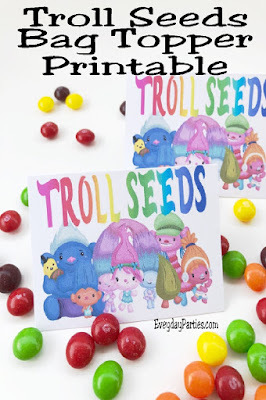 I decided to start quick and easy with some Troll Seeds as a simple party treat. These would be great to use with Skittles candies since Trolls have a lot to do with Tasting the rainbow and such. 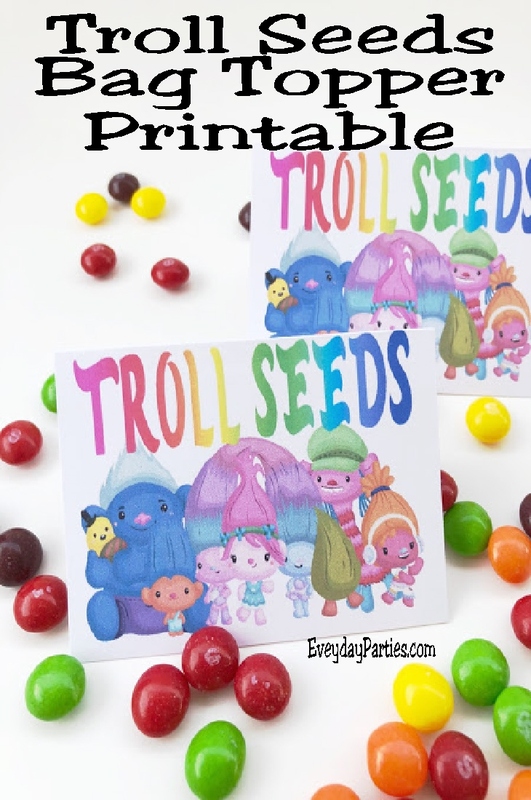 As always, our bag toppers are really easy to use and give as party favors at your Trolls birthday party. 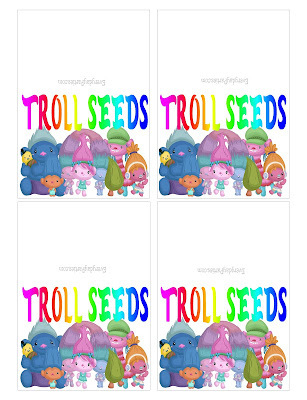 Use your computer's print program to print the Troll Seeds out on to cardstock at 100% size. 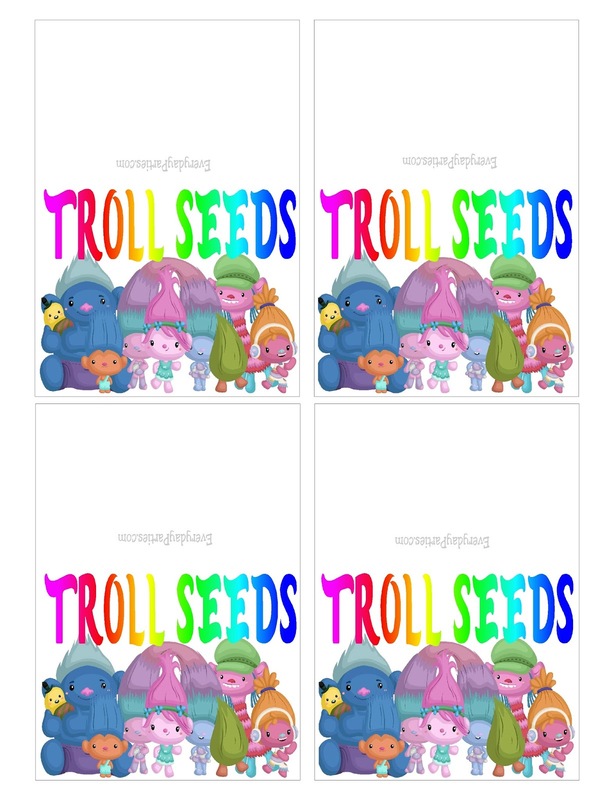 Cut out around the black bordered edges and fold so the "Troll Seeds" banner is at the top and the group of Trolls is at the bottom. Add some Skittles or other candies to your bag and close with the bag topper on top. 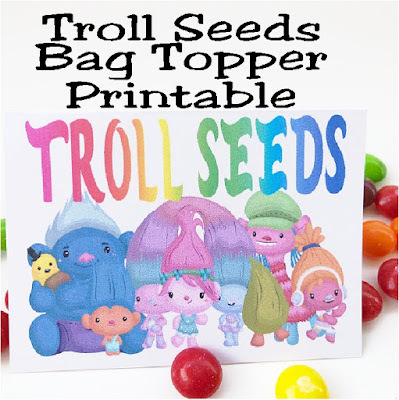 Staple the Troll Seeds bag topper to secure the bag and give your party favor at your Trolls birthday party! These would also be fun for a class Valentine too. You could add a "To" and "From" to the back of the bag topper for some extra Valentine fun. Or you could just give these as a treat to your favorite Trolls fan. What is your favorite treat to give as a party favor at a birthday party?